Women In Retail Leadership Circle | More Girl Talks News! 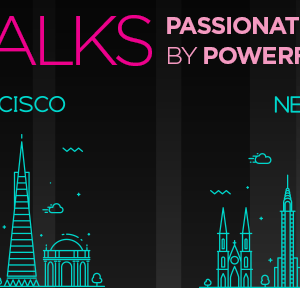 A few weeks ago I offered some news around the Women in Retail Leadership Circle’s (WIRLC) New York City and San Francisco “Girl Talks” events, taking place on Oct. 3 and Oct. 23, respectively. I explained that WIRLC’s Girl Talks are networking and dinner events designed to get you thinking, get you talking and, most of all, help you improve your lives both personally and professionally. At Girl Talks, women retail executives gather with their peers to hear short, passionate presentations (each lasting 15 minutes, with five minutes for audience questions) delivered by powerful women leaders. We’re sure you’ll be inspired by their personal stories as well as gain new insights and ideas on critical areas such as leadership skills, emerging retail technology trends, learning from failure, how to negotiate, and so much more! Well, this week I’m proud to say that we have two amazing speakers signed up for our San Francisco event: Jenny Ming, president and CEO of clothing retail chain Charlotte Russe, and Rosie O’Neill, co-founder and chief creative officer of luxury candy boutique Sugarfina. (Have you ever had Rosé gummy bears? They are a Sugarfina product!) Both Jenny and Rosie will have so much to discuss based on their impressive careers. Before joining Charlotte Russe, for example, Jenny was the president and a founding member of the executive team of Old Navy and held various executive roles over her 20 year tenure at Gap, Inc. Business Week named Jenny one of the nation’s top 25 managers in 2000. And in 2003 and 2004, Fortune named her one of the 50 Most Powerful Women in American Business. Jenny currently serves on the boards of Levi Strauss & Co, Paper Source, San José State’s Tower Board, and was previously on the boards of Kaiser Permanente and Barneys New York. Jenny graduated from San José State University and received an honorary doctorate of Humane Letters. Rosie O’Neill’s story is notable as well. After launching Sugarfina in 2012 with her fiance Josh, the company has enjoyed great success and now has 24 freestanding boutiques in major cities across the U.S., 15 Nordstrom shop-in-shops, more than 700 wholesale doors, and more than 500 corporate accounts. Sugarfina has grown to over 350 employees and generated $25 million in revenue in 2016 (more than three times the amount in 2015). Named to Fast Company’s “100 Most Creative People” list, Rosie and Josh are disrupting the sweets space with an innovative approach to confections and retail. Before candy, Rosie played with dolls for seven years as director of marketing for Barbie at Mattel, where she led a global business unit that sold more than 50 million Barbie dolls annually. She received her MBA from the UCLA Anderson School of Management and a BA in Communication Studies from UCLA. I can’t wait to see you this fall! Speaker Squads Set for Girl Talks! Happy First Day of Summer! Get Ready for Girl Talks! We’ve Come a Long Way, Baby!